In 1940, 112,050 people in Arkansas had electricity while the population of the state stood at 1.95 million. The majority of Arkansans with electricity lived in cities and large towns. The rural areas of the state had no electricity and most had no indoor water. Homes in rural Arkansas were not easily accessible and were also somewhat isolated. The state of Arkansas had several power-generating facilities. The obstacle was the problem of distribution. How could we get the much-needed electricity to the homes in rural areas? The economy during this time was also an obstacle. 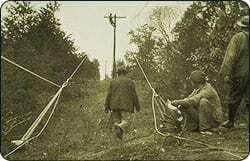 The mostly rural state was unable to supply the miles and miles of utility lines and poles needed to connect the rural areas, and for-profit electric companies could not justify the investment. In 1932, President Franklin Roosevelt created the New Deal program in the hopes of jump-starting the post-Depression economy. Within the New Deal program, President Roosevelt included funding for rural electrification, paving the way for Arkansas Gov. Carl E. Bailey to sign legislation allowing the incorporation of electric cooperatives in Arkansas. 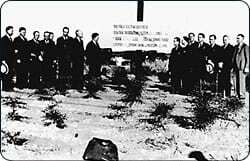 In 1937, the first electric cooperative utility pole was erected in Arkansas by First Electric Cooperative in Jacksonville, marking the development of a system that now covers 60 percent of the state’s land area. AECC and AECI, along with the state’s 17 electric distribution cooperatives, are known collectively as the Electric Cooperatives of Arkansas.